Back to basics recipe today. 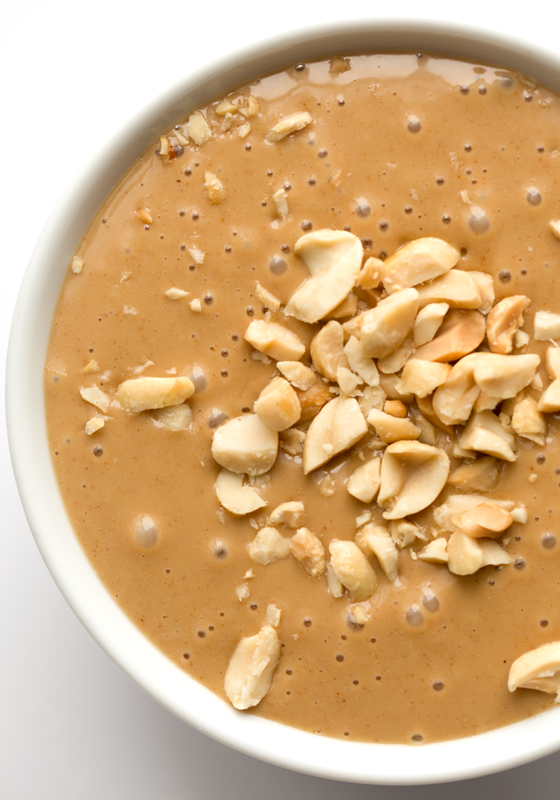 Because peanut sauce makes everything better. Happy Friday everyone! I hope you are having a happy, productive day! Or a super chill day - whatever you need - listen to your body, it will usually let you know. Today I needed to perch at my desk and play catch up on a few things. Work calls. Finding Vegan submission approval catch-up. And this easy little post. I just had to share this sauce recipe all on its own so I can easily reference it for you guys in the future. So ya, just sitting here all day at my desk on a chill Friday, soft sunbeams streaming through my window, breezy palm trees outside my window, matcha latte on my desk, feels amazing. Today's recipe is one everyone needs in their culinary arsenal because it is so versatile and just darn yummy. Need to add some flavor to your meal? Peanut sauce! Boom. 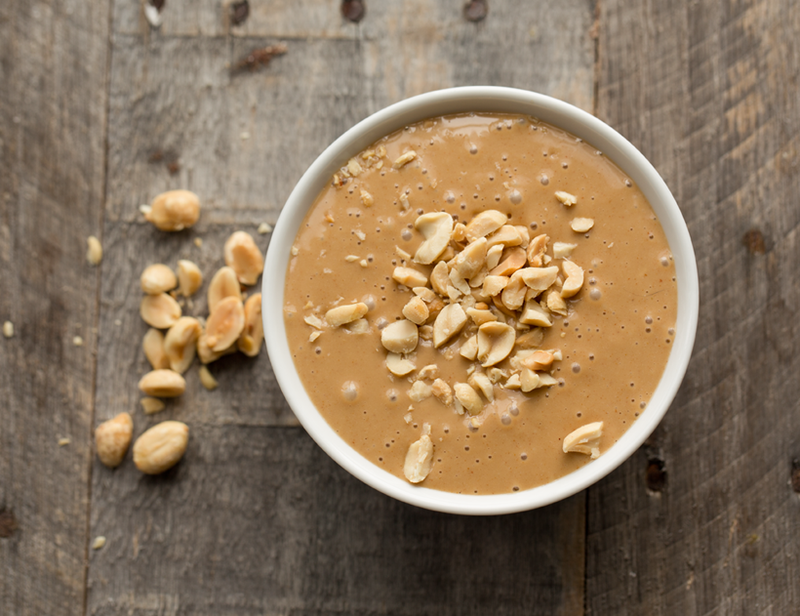 My Easy Peanut Sauce is simple, rich, warming and creamy. Get the recipe, plus my eight fave ways to use peanut sauce..
1. Soba Noodles - I love boiling some 100% buckwheat soba noodles, tossing then with some peanut sauce, then adding in some raw or sauteed veggies like carrots, spring onions, kale and more. Add peas, hemp seeds, tofu or tempeh for added protein. You could also do zoodles. 2. Dip it! Peanut sauce makes a yummy dip for veggies and spring or summer rolls. Or collard wraps! I swear peanut sauce and collard wraps are perfection. 3. Soup add-in. Ok, this sounds weird, but I love adding about 1-2 Tbsp peanut sauce to my soba or ramen noodle soups. 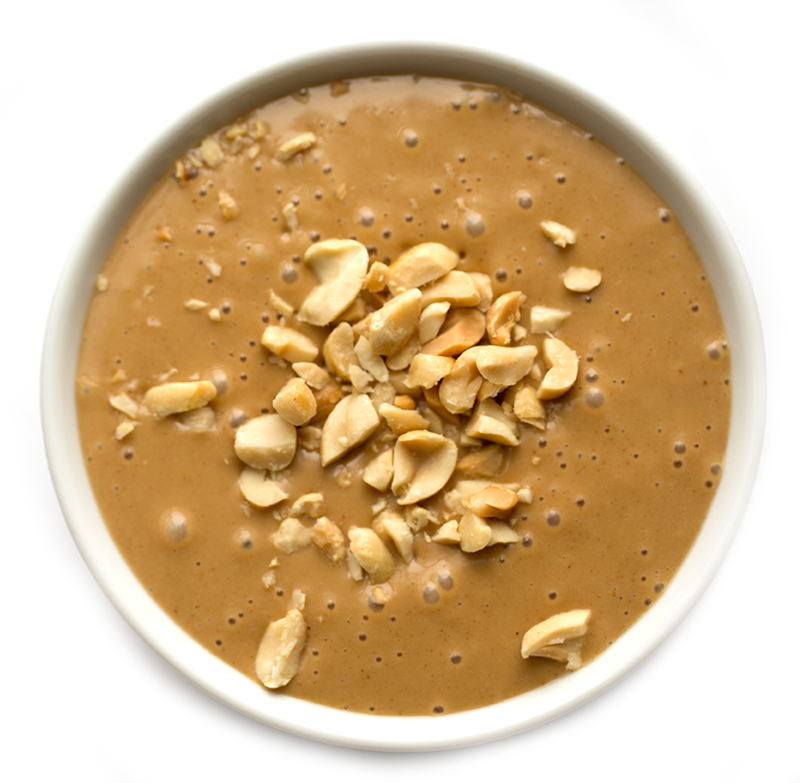 It gives it a peanut-soup flavor without being overly thick and creamy. I love it with a soup that has some sweet potatoes or red onions. 4. Kale Smother Sauce. I adore peanut sauced kale! You can use this recipe for a kale salad like this. 5. Salad dressing. Raw veggies love peanut sauce, so you can totally toss a chopped salad with this sauce. I love carrots, spinach, romaine, celery, corn, peas, radishes, arugula ... ya pretty much every salad ingredient with this sauce. 6. Peanut Tofu or Tempeh or Beans! I love making tofu or tempeh cubes in my skillet then smothering them in this sauce. You can even toss beans like chickpeas with this sauce. I like to add a pinch of smoky paprika on top. 7. Sweet Potato Sauce! I love the combination of sweet potatoes and peanut sauce, so I will either drizzle peanut sauce over top a baked sweet potato, or even better over top some skillet or baked sweet potatoes like these. 8. 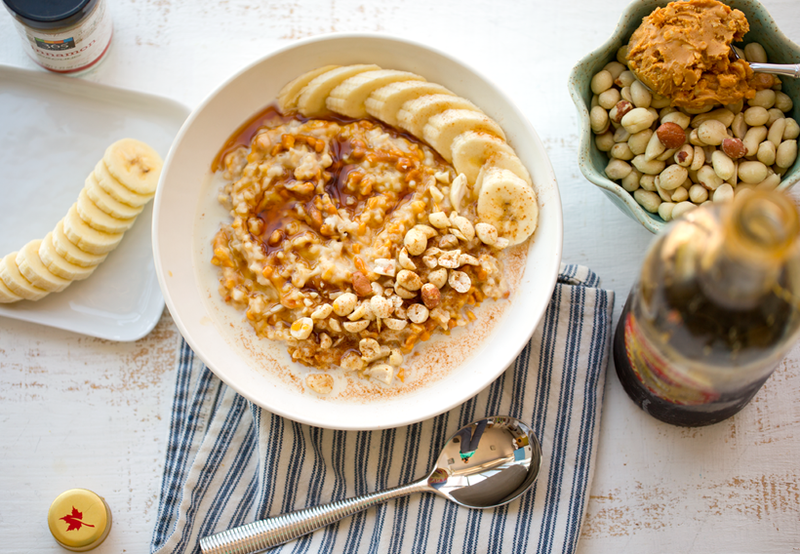 Peanut Rice or Quinoa! So easy. I toss fluffy, steamy cooked brown rice or quinoa with a few spoonfuls of peanut sauce. Instant side dish or snack. Love it so much. And now for my recipe!.. Tip: This sauce is on the thicker side and firms up to a mousse-like texture in the fridge. To thin out a bit, add in more water or acid like rice vinegar or you could even experiment with orange juice! 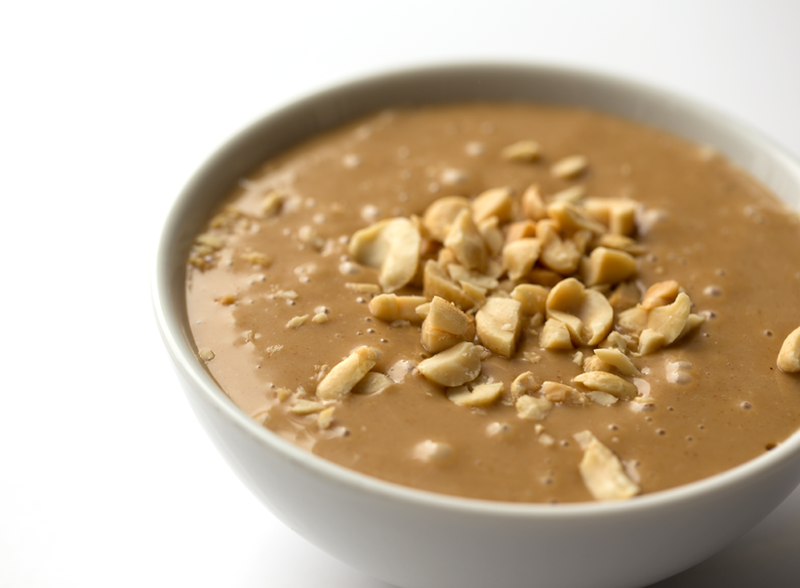 This simple, creamy, flavorful peanut sauce is versatile and delicious! Add all the ingredients to a high speed blender and blend until smooth and creamy. For a thinner sauce, add a few more splashes of water -- or a combination of water and acid. 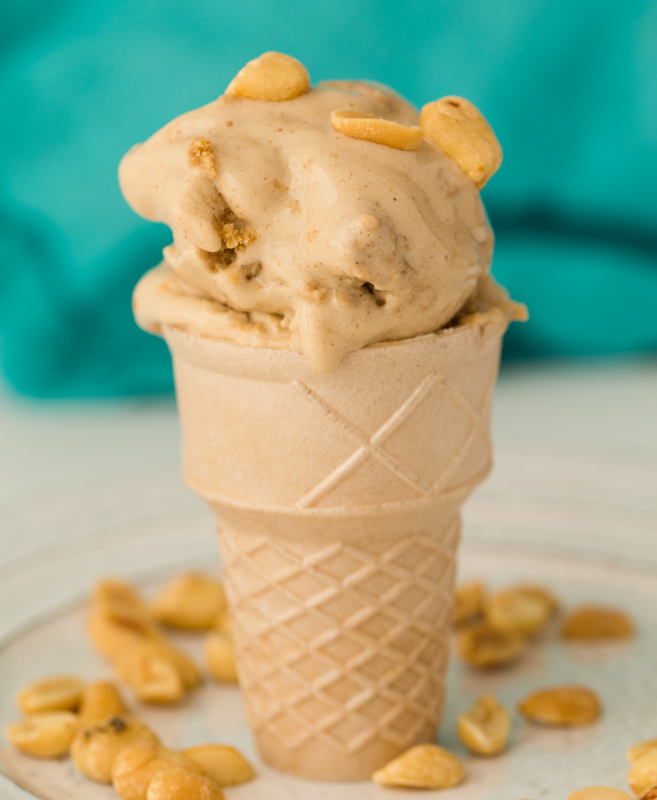 Or peanut butter ice cream..